Little Wedderburn House is an annexe to the owner's property in the city of Gloucester. The property provides one twin bedroom with an en-suite shower room, sleeping up to two people. Its interior also contains an open-plan living room with a kitchen, a dining area and a sitting area. To the outside there is off road parking for two cars and a decking with furniture next to a pond. Little Wedderburn House is an ideal base for exploring the towns, cities and countryside of the area. Amenities: Oil central heating. Electric oven and hob, microwave, fridge, access to owner's freezer, TV. Fuel and power inc. in rent. Bed linen and towels inc. in rent. Off road parking for 2 cars. Decking with furniture next to unfenced pond. Sorry, no pets and no smoking. Shop and pub 3 miles. Note: Property not suitable for young children due to unfenced pond. Region: Visitors to the Cotswolds have long treasured memories of charming towns and villages built from the famous honey-coloured stone, it now boasts a thriving community of contemporary artists working from studios and shops throughout the area. Town: In the city of Gloucester you will find fine architecture as well as shops, markets, restaurants, pubs and attractions. 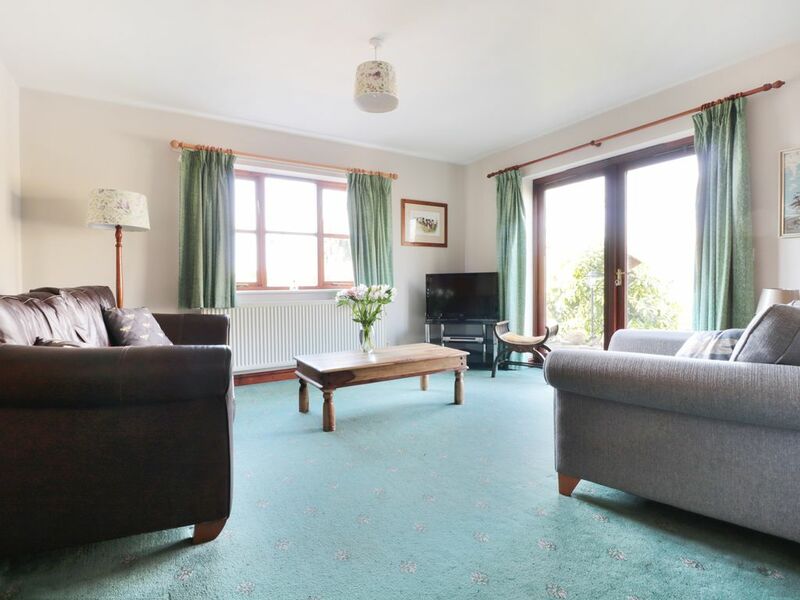 It's close to the Cotswolds and Forest of Dean, with country walks and quaint villages. Cheltenham is also nearby, with its Georgian architecture and popular horse racing festival. All ground floor. One bedroom: 1 x double (zip & link on request) with en-suite shower, basin and WC. Open-plan living area with kitchen, dining area and sitting area. Oil central heating. Electric oven and hob, microwave, fridge, access to owner's freezer, TV. Fuel and power inc. in rent. Bed linen and towels inc. in rent. Off road parking for 2 cars. Decking with furniture next to unfenced pond. Sorry, no pets and no smoking. Shop and pub 3 miles. Note: Property not suitable for young children due to unfenced pond. Excellent views from all the windows. Warm and comfortable cottage in pretty surroundings. Very relaxing but also a good position for visiting attractions.